Everything you ever wanted to know about the human body - and some things you'd rather not...A wonderfully entertaining yet authoritative treasure trove of facts about our anatomy - it answers all the questions about our bodies we're usually too embarrassed to ask. 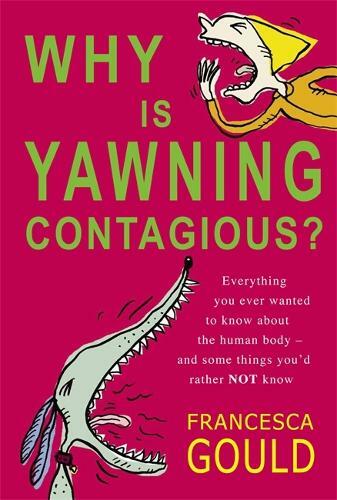 * Why is yawning contagious? Some experts think that yawning may have developed as a means of communication. It may, for example, be a way of signalling to others that it's important to remain alert and stay awake in a certain situation. Another theory is that our early ancestors used it as part of their social behaviour, and as a way to help build a bond with the rest of the group. * Why are bogies green? When white blood cells meet germs, they make a large amount of an enzyme called myeloperoxidase, which is green because it contains a lot of iron. The colouration therefore comes from the iron.